I haven’t had much to say about Branding at this blog if only because I’ve not found one consistent idea about what “Branding” is. 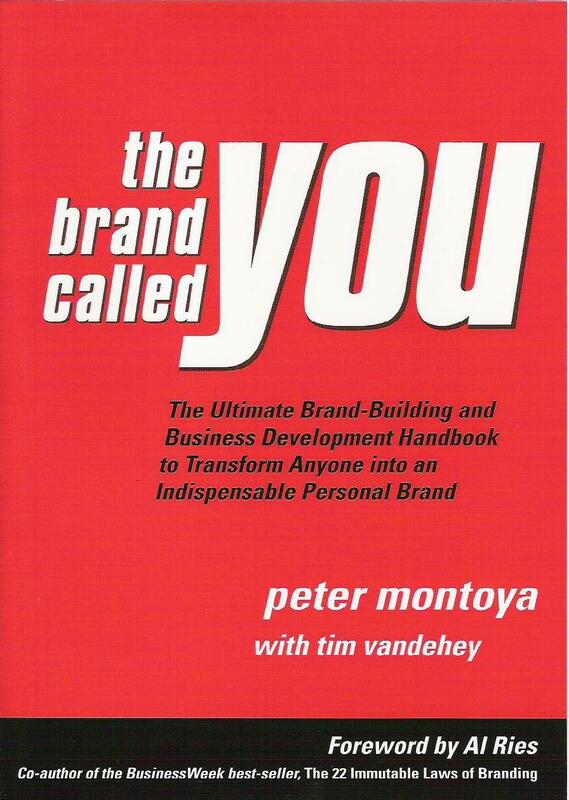 A couple of weeks ago, I got a copy of Peter Montoya’s (with Tim Vandehey) book, “The Brand Called You,” and finally found a definition that makes perfect sense to me. This post is a bit of a follow up to a talk I gave to a Music Entrepreneurship Class a couple of weeks ago and will elaborate somewhat my previous post about Strategic Gigging and how that can work once you’ve gotten some good branding done. First let me say a bit about what Montoya says about “Selling” and “Marketing” so that the idea of “Branding” he is proposing will make more sense. In Chapter 2 of the book, “What Are Selling, Marketing and Branding?,” Montoya states that Selling is Convincing. You’ve encountered old-fashioned salesmanship at one time or another; it’s unavoidable. Whether those infuriating telemarketing calls pull you away from your dinner table or you trade offers and counteroffers with a car salesman, you’ve experienced the essential truth of selling: it’s adversarial. It’s sequential, in that one line of questioning leads to another. And it’s hard work. Commission salespeople earn every dime they make, because it’s a brutal business. Every working musician has been there and done that. There’s a huge pool of musicians vying for an increasingly smaller pool of gigs (though whether the pool is shrinking or profoundly changing is a topic I often discuss at this blog). Whether making press kits, cold calls or follow up calls to venues, building up a private teaching studio from scratch, or making the rounds in the audition circuit for Orchestras — this is selling, and the Return On Investment (ROI) is usually low. Depending on who you ask, it can be as low as ten percent (e.g. you send out 100 press kits, and you might get 10 bites) which doesn’t mean you’re securing a ten percent return on gigs but a ten percent return on making initial contact. Orchestral musicians will take between a dozen and 20 auditions before finally securing a position, and while that final position is a relatively stable prospect, there is the intervening time between matriculation from music school until winning an audition in which to find gigs. But even after securing a position in an orchestra musicians will occasionally, or often, desire to supplement their salary with freelance gigs or with building a teaching studio. Marketing is a single term for the collective activities companies use to generate business: running ad campaigns, conducting demographic research, buying TV commercial time, and so on. It’s also a dirty word these days for consumers tired of mailboxes filled with creditcard offers. Today’s non-stop marketing has created a culture of sales resistance, in which consumers bristle at the first hint of a marketing message. But strip away the baggage and marketing is as simple as its name: the act of creating a market by sending carefully crafted messages to the proper target market, through multiple channels, over the long term. Marketing puts a sales message in front of potential customer using different means such as radio ads, direct mail and the media. In this day and age, simply having a web presence is a very cost effective Marketing tool. Whether this is a dedicated website, blog, or Facebook fan page, all of these things serve the same function as older and more traditional (and usually more costly) marketing tools like TV and Radio ads, or even the press kits I mentioned above. As I mentioned during my Music Entrepreneurship Class talk, if Networking with people in real life is the single most important way of getting a gig, then if more and more people are networking online, using Social Networks can become a very effective way to get gigs. Networking is about building relationships and Marketing is about making it easier to get those relationships started in the first place. You may be the best in your particular musical genre, but being the “best kept secret” isn’t a particularly effective way to build Awareness, and without this first step, there’s no where to go. But building relationships isn’t the same thing as building the right kind of relationship (in the same way I stated that getting a gig isn’t the same thing as getting the right gig) and that takes us to Montoya’s idea of Branding. Before I post what Montoya specifically says about Branding in relation to Marketing and Selling, I want to bring up some more general things that initially sold me on this book. Basically Montoya states that whether or not we think we need it, we are already always engaging in Branding ourselves. This is one of the reasons I voiced my agreement with Frances-Marie Uitti’s comment: Instead of studying how to brand oneself, why not take the time to find an original voice? Branding will happen all by itself. So if every public activity we do contributes to our Brand, then what Uitti said makes perfect sense. What Montoya is emphasizing is that, since everything we do contributes to our Brand, then it’s important to know that we can (and should) actively participate in the creation of that Brand lest the Brand get made without our conscious input. So, by developing your unique voice, as Uitti says to do, given that everything we do Brands us, we would effectively be doing exactly the single most important aspect of what Personal Branding was intended to do. The above, in conjunction to the point Montoya states about Selling (namely that “[y]ou’re selling pure benefits and price without a thought of the customer’s need”) both play into the perception you have of a potential customer’s needs and desires. In my next post, I’ll talk about Branding in relation to how I once lost a gig to myself, precisely because one musical group I worked with didn’t adapt to a customer’s need while another musical group I worked with fit it much better. But now to the source of Marketing and Selling: Branding! Branding is always about emotions. Good branding campaigns inspire powerful feelings in their targets: envy, confidence, humor, or the desire to be “cool,” for example. Rather than sell or drive home a message, branding influences the decision-making centers of the mind. For business owners, Personal Branding is laregly about inspiring confidence that you can do the job and that you’re good to work with during the process. But nothing is more effective than a Personal Brand that says, “I’m the one to get it done for you.” Only slightly less important is having a Personal Brand that fits the culture of your prospects. As you can see, I’ve posted images of the “Brand Widget” which shows how Sales and Marketing and Branding fit into what Montoya refers to as the “Brand Continuum.” So everything we do will affect our Brand, either by supporting it or contradicting it. It’s possible to build a successful business without ever building a Personal Brand. All we’re saying is, it’s much easier, faster, more effective and more rewarding to build a business you can enjoy–one that leaves you time to relish your success–with a strong brand than without one. Been there and done that. As I stated in my Strategic Scheduling post I work far fewer hours now actively gigging, yet earn nearly triple the average I have when I was heavily touring back in 2008, which was already a significant increase in revenue from the previous four years. This doesn’t even include my music teaching income! I have the luxury of being very selective about what gigs I take now more than ever and that has much to do with how I’ve built my Personal Brand (as Montoya describes it). Sending out physical presskits, maintaining a website, cold calling or emailing a new venue are all expensive, if necessary, marketing tools. Sometimes the expense is simply time rather than money. Either way, anything you can do to create a demand for you will significantly reduce your time and money investments for marketing. Building a strong Personal Brand has helped me to reduce the need for more costly and often inefficient marketing and promotion and while I understand that effective and strong marketing could potentially increase my revenue stream, since I don’t have to spend long hours getting the gigs, I have much more time to research more efficient ways of marketing and promotion. This was another hard lesson for me to learn. Until I realized the much better financial position I currently am in compared to just a couple years ago, much less nearly ten years ago, I had been slightly depressed that I wasn’t performing nearly as often as I had been in the past. Then I realized that one of the reasons I didn’t have nearly as much free time (especially in 2010-2011) as I would like was simply because of all the musical ensembles I’ve had the pleasure of playing with regularly. My free time the past two years has been used to explore or develop a number of different musical ensembles including a Klezmer band, a Balkan band, a Central Asian music/dance project, and experimental Goth music/dance project, as well as now playing intermittently with a local orchestra and baroque ensemble and developing a Klingon Music Project. Over the past couple of years I’ve also had some wonderful experiences sitting in with not one, not two, but three different Greek bands, a Central/West Asian ensemble, as well as a number of local rock or experimental groups. While I may be performing less, I am actually playing far more music now than I have been in years. Every week it’s a new style or genre and every couple of weeks or so a whole new program of classical or baroque or chamber music. I guess I’ve been enjoying the fruits of my labor without realizing it simply because I no longer need to worry about the rat race of finding gigs since now the gigs find me.